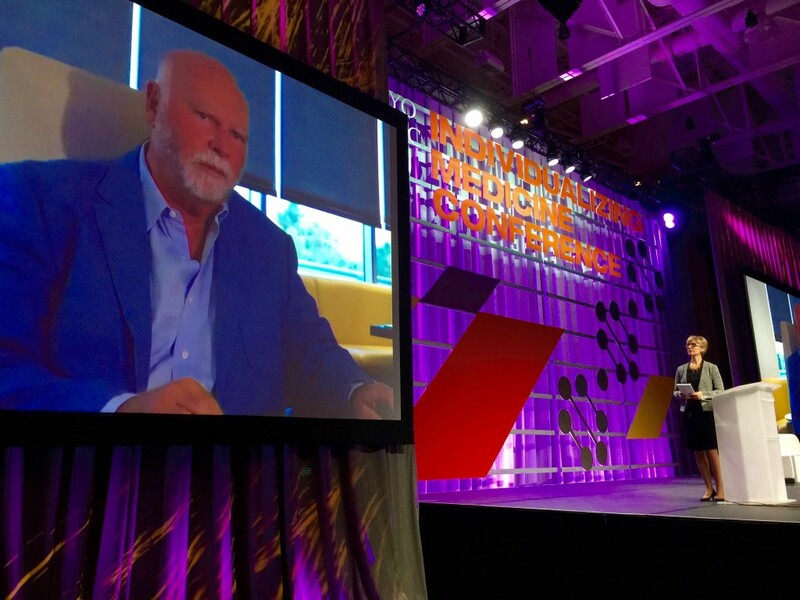 We’re about to embark on “the most exciting decade in genomics,” J. Craig Venter, Ph.D., told attendees in the closing keynote address at the 2015 Individualizing Medicine Conference: From Promise to Practice. 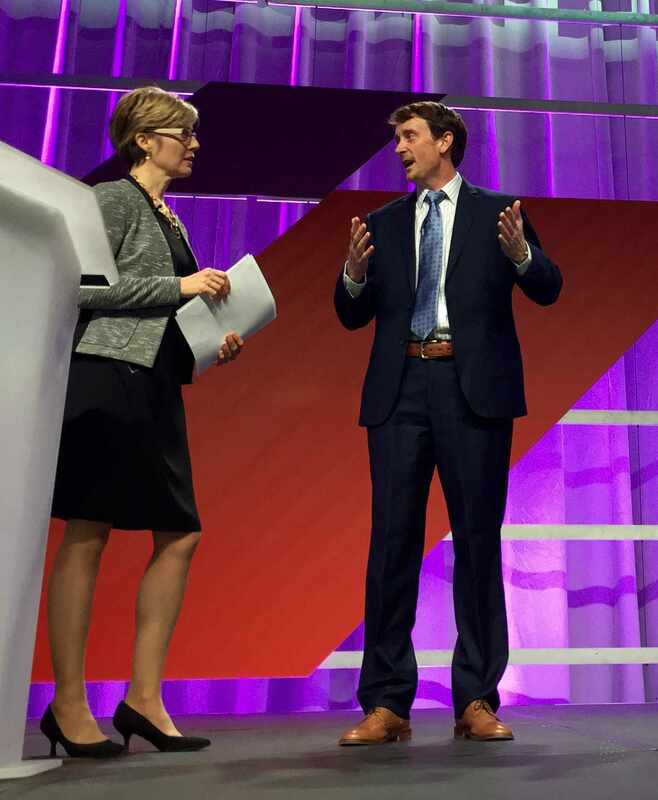 None of the 800 people gathered in Rochester, Minn., for the Mayo Clinic Center for Individualized Medicine’s fourth annual conference on genomic medicine disagreed with the CEO and co-founder of Human Longevity. Over 800 people from 31 state and 10 countries attended the 4th annual genomics conference. He outlined how Human Longevity is ramping up from currently offering 3,000 tests a month to 10,000 a month. Much like President Barack Obama’s Precision Medicine Initiative, the genomics pioneer has plans to sequence one million genomes by 2020. Dr. Venter’s talk capped two days of plenary talks at the genomics conference. Earlier in the morning, Stephen Quake, Ph.D., discussed what he is calling “The Molecular Stethoscope.” In it, Dr. Quake is applying his work in non-invasive prenatal testing for genetic birth defects to heart and lung transplant patients. The Stanford University researcher noted that the use of non-invasive prenatal testing doubled in one year. In 2014, 500,000 women receive the test, and in 2015, it was over 1 million. A conversation with colleagues performing heart transplants led him to realize that the same principles involved in non-invasive prenatal genetic sequencing could also be applied to non-invasive detection of organ transplant rejection in heart transplant patients. Federal regulations of next generation sequencing and how it related to the president’s Precision Medicine Initiative was the topic of the next speaker, E. David Litwack, Ph.D., from the U.S. Food and Drug Administration (FDA). Dr. Litwack cited four barriers to the Precision Medicine Initiative being successful: studies for variants don’t have enough participants; data and information are contained in silos and not shared; there are different interpretation from lab to lab of the same results; and FDA regulations for genomic testing need to be moderized. Dr. Parker took the news that he had lost the battle of wearing the coolest sock on stage to Dr. Gianrico Farrugia with good humor, but then turned serious for a moment. “This is a conversation,” he said. 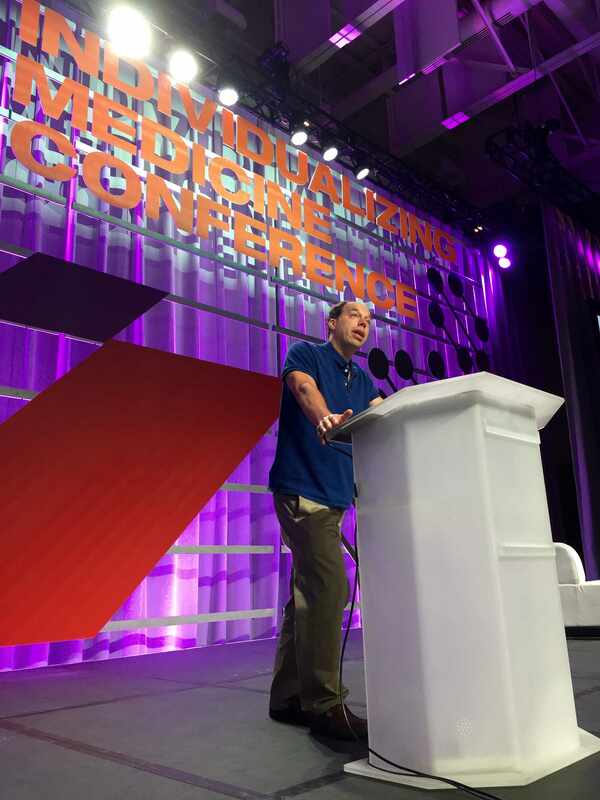 “We need to keep the conversation going if we’re going to make progress in delivering better care to the patient with individualized medicine. We don't want to practice bench to bookshelf; we want to practice bench to bedside." The afternoon concurrent sessions focused on issue-specific topics in genomic research. Ten breakout sessions covered a range of subjects, from the role of individualized medicine in value-based care to the genomics of dementia. Other topics include epigenomics, clinical RNA sequencing and gut microbiota. Industry representatives presented at one session. Justin Kao spoke on behalf of Helix, a new venture to offer gene sequencing direct to consumers. Mayo Clinic recently entered into a partnership with Helix to provide consumer education. There was also a poster session and an exhibitor’s hall for attendees to browse. Dr. Megan Landsverk was selected for the Featured Poster of the Day for the presentation of her research in electronic health record-integrated pharmacogenetics clinical services. The Individualized Medicine Conference 2015 continues tomorrow, September 23, with a morning of meetings focused on specific issues in genomic medicine. If you’re unable to attend, follow along on Twitter at #CIMcon15, or catch the day’s recap on Facebook or the CIM blog. A look at some of the 146 people who created nearly 3.6 million Twitter impressions. Thank you!